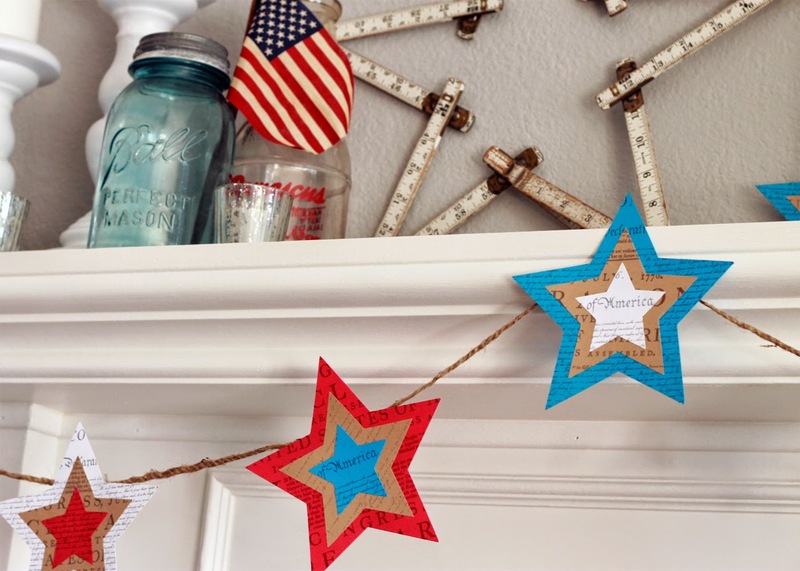 The 4th of July is almost here! 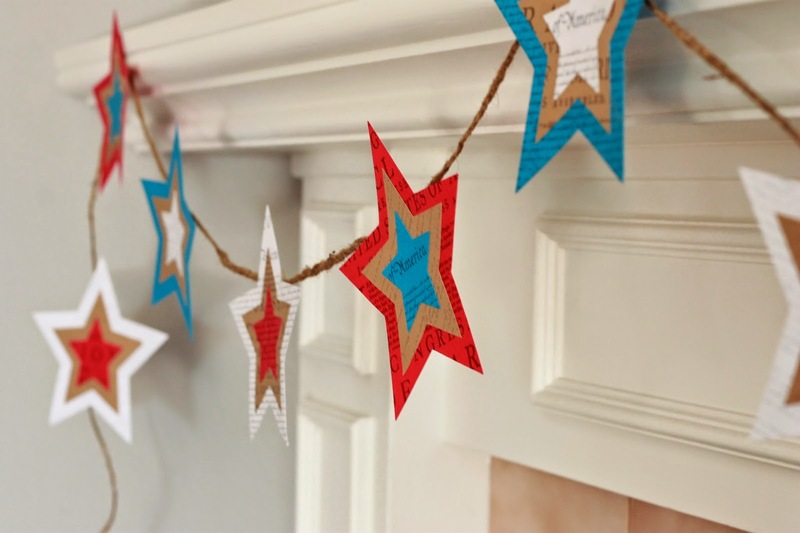 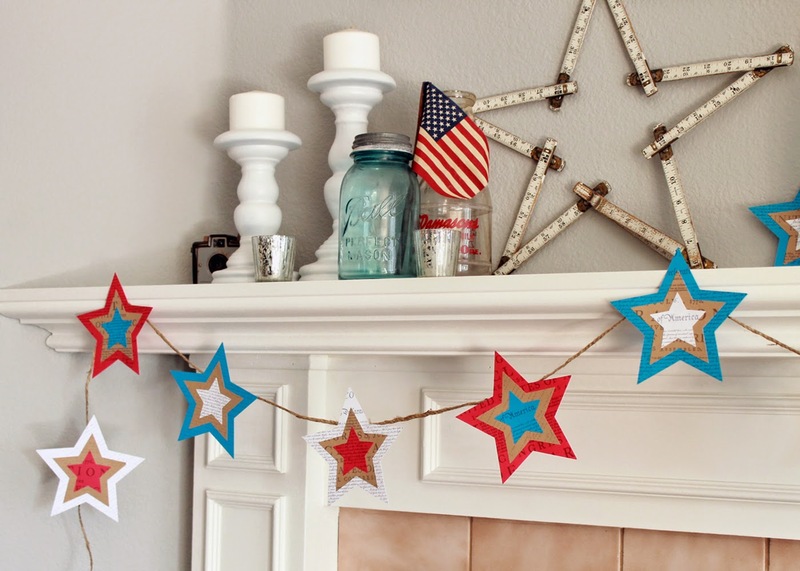 I recently made this star banner to dress up the fireplace. 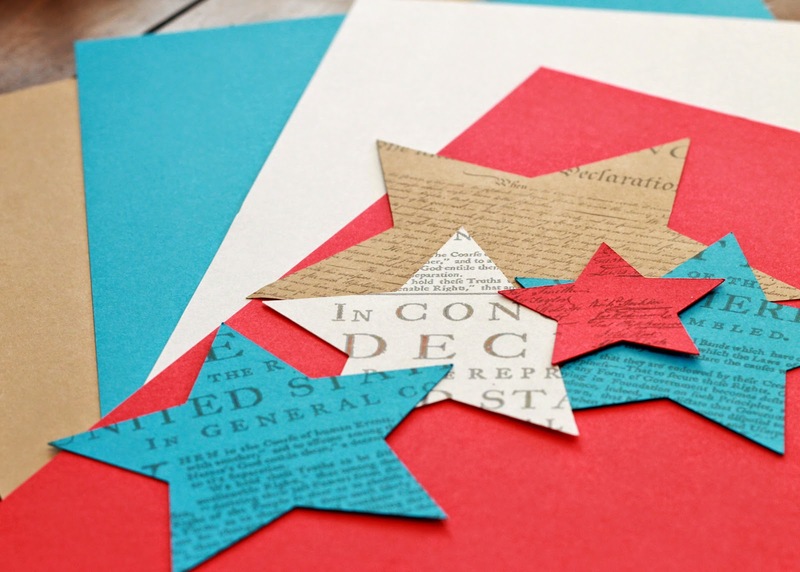 I don't have a craft store nearby to pick up patriotic scrapbook paper, so I made my own. 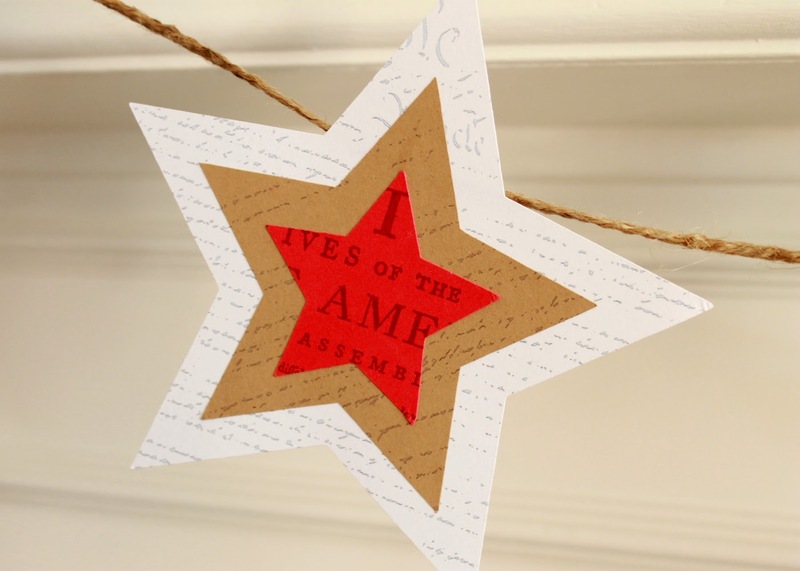 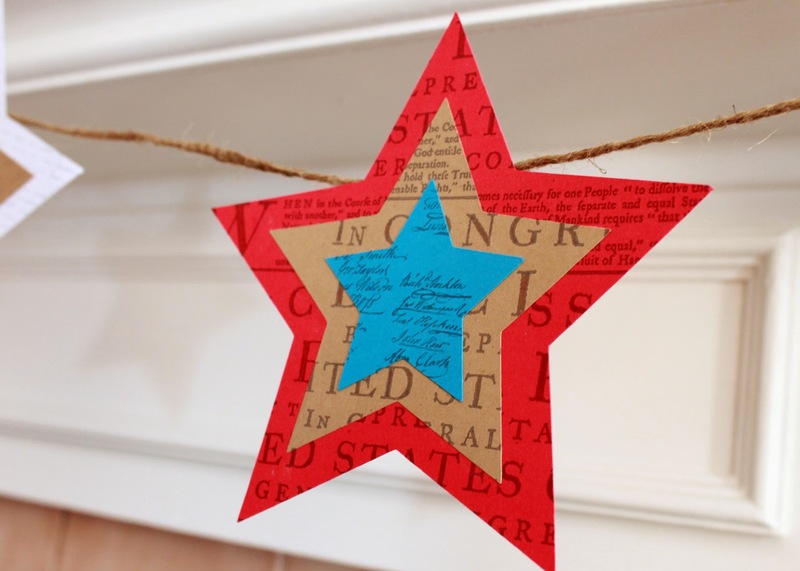 Simply using card stock from the office supply store, I printed out elements of the Constitution and the Preamble on red, blue, white, and kraft paper. 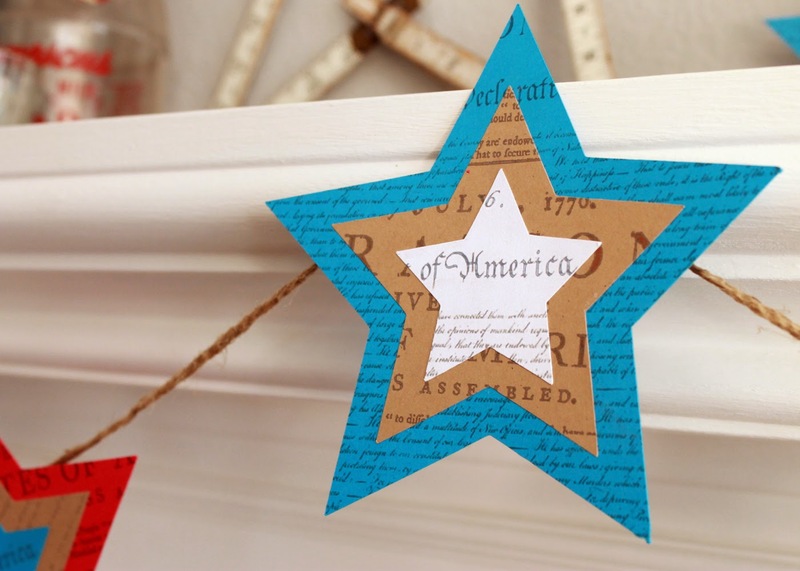 Then I cut the paper into various sizes of stars. 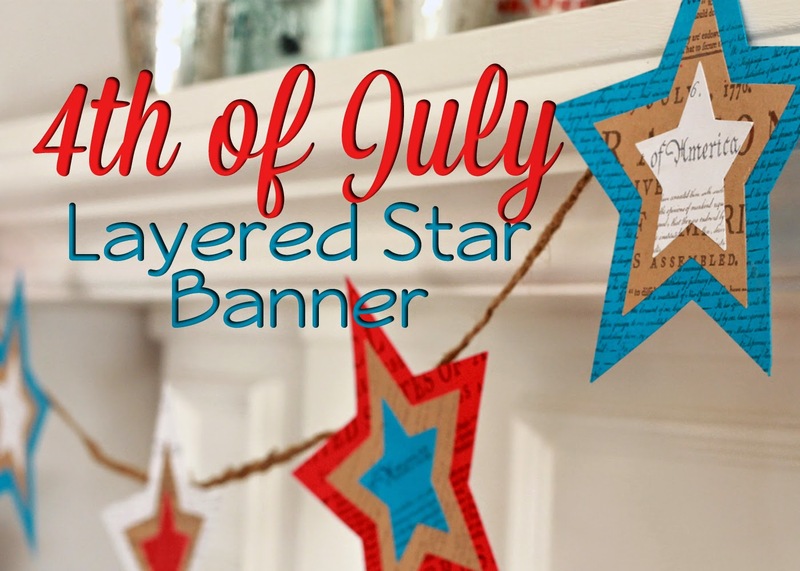 After layering the stars together, I taped them to jute twine. 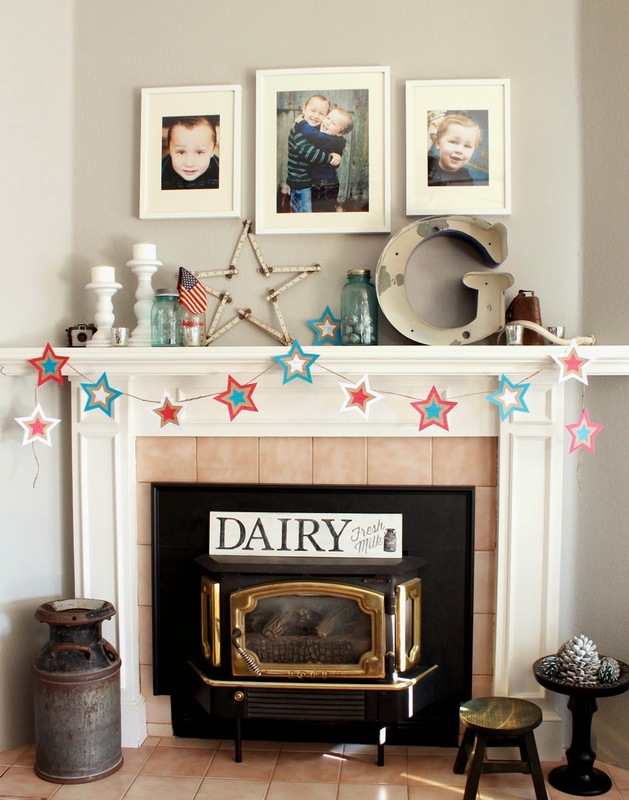 Click here for the 4th of July Wheelbarrow Transformation.